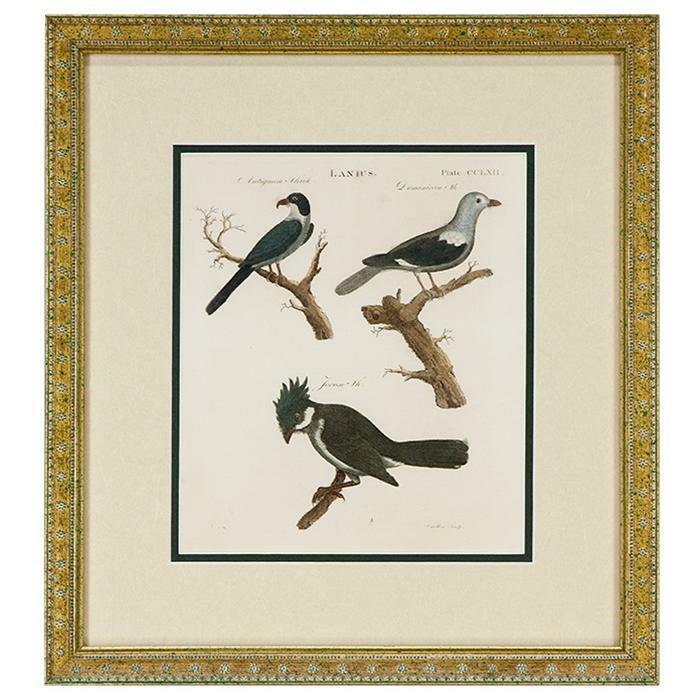 Home → Frame Style → Traditional → "Lanius Birds (1798)"
Framed Size: 13" x 14 1/4"
Old book page framed in a 3/4" wide antiqued gold wood with floral detailing. Also framed with U.V. filtering glass and a double acid free mat.